- Kindasa Water Services Co.
- Red Sea Port Development Co.
- Arabian Bulk Materials Trading Co.
- Red Sea Gateway Terminal Co.
- Al Haj Abdullah Alireza & Partners Co. 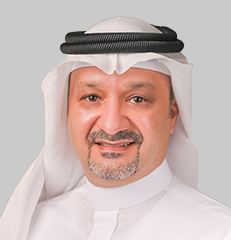 He has previously held several positions in many companies and official positions such as Consultative Council (Shoura Council), Jeddah City Council, The Saudi Fund for Development (SFD), Emaar The Economic City (Emaar EC) and Bank Al Bilad. Long experience in many companies as a member of board of directors. - National Petrochemical Industrial Co.
Extensive experience in the legal field more than 39 years. 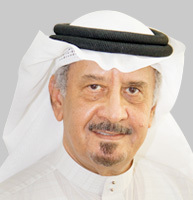 Long standing association with Dallah group, where he has worked in various positions. He is also a board member of International City Clean Company in Egypt, authorized board member of Traffic Signal Factory Company, Arab Petroleum Aviation Services Company. Chairman of Aviation Support Services Company (Lebanon) and Sunbulah Operations and Maintenance. He was also a member of National Operations and Industrial Services Co., contractors committee of Jeddah Chamber, and Dallah Transportation Company for pilgrims. Extensive experience in the business of more than 37 years. - Saudi Trade & Export Development Co. Managing Director and CEO of Halwani Brothers Co. Experience in management and aiding companies to structure and in business development. Chairman of the Board of Directors of the Murbiha Holding Co. He has been a member of several boards of directors of listed and non-listed companies such as Riyadh Development Company, Saudi Automobile and Equipment Services Company (SASCO) and National Glass Industries Company (Glass). Wealth of experience in the field of investment. - Red Sea Ports Development Co. Managing Director of Services Division in Xenel Industries Co.
A board member of a number of its subsidiaries and affiliates. 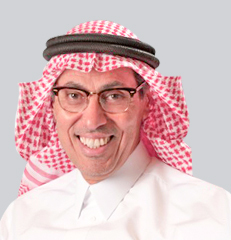 He is the Chairman of the Board of AECOM Arabia Co. Ltd. And previously a Board Member of Tabadul and CEO of LogiPoint. He also serves on the board of directors for Friends of Jeddah Parks, a non-profit organization. He has taken part in various management executive programs at the University of California, Stanford University, and most recently attended the Advanced Management Program at Harvard University. The President/CEO of International Systems Engineering Ltd (ISE) a company formed in partnership with The Boeing Company. Between 1976-1993 he was an officer in the Royal Saudi Airforce. He retired as the Director of computing, HQ. 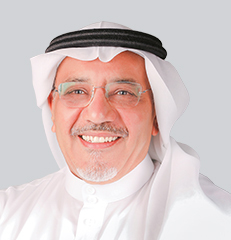 His Public assignments include Board Membership of the Riyadh Chamber of Commerce & Industry (2000 -2004) and the chairman of the organizing committee for Riyadh Economic Forum (2002 – 2006). He was also a member of the board of Trustees of the Centennial Fund and a Member of the board of directors of the Economic Cities Authority and of the National Industrial Cluster Development Program.